Volvo Cars aims for fully electric cars to make up 50 per cent of its sales by 2025. The announcement builds on Volvo Cars’ 2017 announcement that all new models released from 2019 would be available as either a mild hybrid, plug-in hybrid, or battery electric vehicle. Volvo Cars' president and CEO Håkan Samuelsson says last year it made a commitment to electrification in preparation for an era beyond the internal combustion engine. Volvo Cars currently produces the S90 and S90L T8 Twin Engine in China. This week marks the start of production for the XC60 T8 Twin Engine in China, meaning that soon all three Volvo Cars China plants will produce either plug-in hybrid or battery electric cars. Last week at the Beijing Auto Show, Volvo Cars reinforced the company’s position as an industry leader in electrification with all cars on display plugged in. The event marked the first time the company displayed only plug-in hybrid vehicles at an auto show. In another first, the company displayed its three globally available SUVs: the XC90, XC60 and the new XC40. Beijing also marked the first public appearance for the T5 plug-in hybrid version of the new XC40. 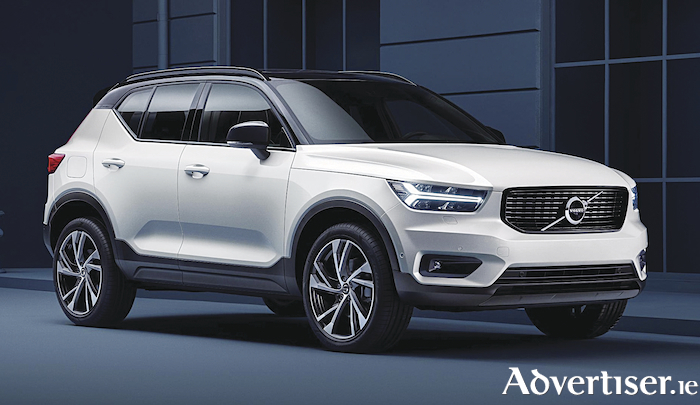 The early success of the XC40 supports Volvo Cars’ expectations of strong demand for its new small SUV in China. These expectations are also underpinned by growth forecasts for the segment over the next five years, as well as a growing middle-class population and China GDP growth trends driven by domestic consumption. Volvo car sales in China last year passed 100,000 units for the first time.